Emotions cannot always be laid out in black and white or good and bad. Anger, just like any other emotion is an instinctive response. Sometimes it can serve up a number of positive purposes when directed towards injustice, abuse, and discrimination. Anger responses or reactions can be categorized into good or bad, healthy or unhealthy, or positive or negative. Anger can be relieved by lashing out. The occasional outburst has happened to all and is considered normal for relieving the symptoms of anger. However, aggressive behavior is not the only way to make anger go away. As a matter of fact, it only helps relieve the symptoms. Research shows that aggressive venting can only make a person better at getting angry. An effective way to deal with anger is to channel it into something positive, like assertiveness. Assertive behavior can help get a point across without any unnecessary display of frustration and rage. Suppressing/repressing anger will make it go away. It has been found that as less as 10% of people act out their feelings when they get angry. The rest 90% usually either suppress or repress anger. This might seem like a good thing but it most definitely is not healthy. Anger does not disappear when ignored. It builds up and can be projected onto another person, and lead to stress and other health issues. Rather than suppressing or repressing anger, it is better to acknowledge its existence in order to prevent a blowup or breakdown in the future. Though the fight-or-flight response would be the normal go-to action when anger strikes, an overwhelming response does not mean you are a slave to your impulses. 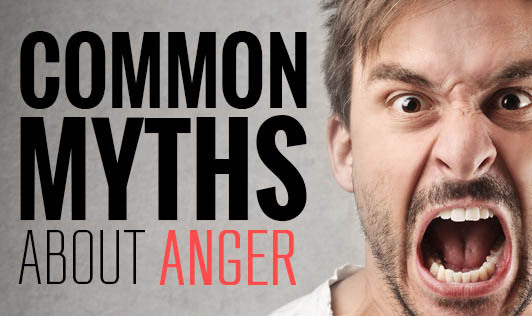 Most often, anger is expressed in an almost unconscious way. The best way to rise above this is to be aware of where your anger stems from and make a conscious effort to forgive and move on. Not getting angry will make people think you are a pushover. It is true that the world always considers people who don’t get angry very easily as being pushovers. The general perception is that if a person does not stand up for himself, he can be taken advantage of very easily. However, anger is not the only way to express feelings. Most people confuse aggression with assertiveness. But unlike aggression, assertiveness is the most effective and respectful way of expressing feelings of anger. Rational behavior can also make a person come across as being strong.